Radar pulses are generated at a surface antenna and then propagated into the ground. When they encounter buried discontinuities (for instance stones surrounded by sand or changes in the composition of stratigraphic units), a portion of the radar energy is reflected back to the surface and recorded again at the antenna. 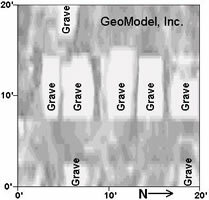 When the velocities of the radar travel-times are calculated they can be converted to depth, making GPR a three-dimensional geophysical tool. 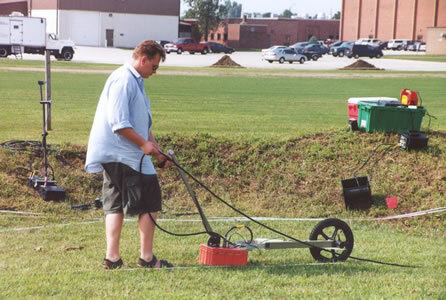 Antennas are moved along the ground surface in transects within a grid. 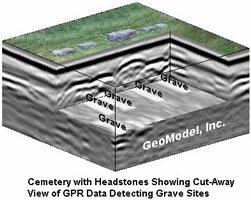 When many transects are collected in a grid a three-dimensional data base is obtained. 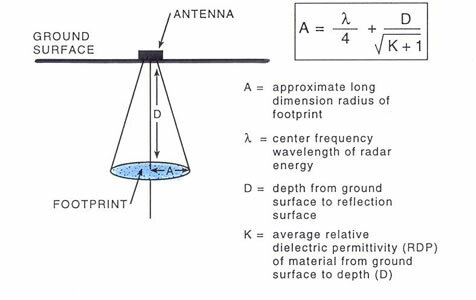 The depth of penetration, and the resolution of buried features is primarily controlled by the frequency of the antenna. As radar energy moves through the ground, any discontinuity will reflect energy back to the surface. Radar energy spreads out in a conical pattern as it moves into the ground. 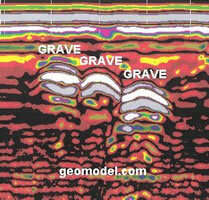 Standard GPR processing produces two-dimensional vertical profiles of each reflection transect. The high amplitude reflections, generated from buried materials with a high physical or chemical contrast, show up as distinct black and white reflections on the profiles. Areas of homogeneous material with little contrast show up as shades of gray. 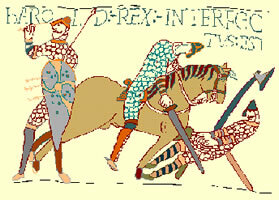 A series of three-dimensional maps can be produced using what are called amplitude time-slices. This processing method produces contoured maps of the relative amplitudes of reflections in specific horizontal slices in the ground. Using this mapping method each time-slice becomes analogous to a map of all materials in arbitrary excavation levels.